Soak casings for several hours in water to remove salt. Mince meat through the coarse plate into a large plastic box. Mix breadcrumbs, salt, spices and herbs thoroughly in a bowl or plastic bag. Add spice mix to meat and mix thoroughly by hand. Add liquid. Mince again and fry off small amount to taste and check flavour. Put mix into sausage stuffer and place casing onto spout. 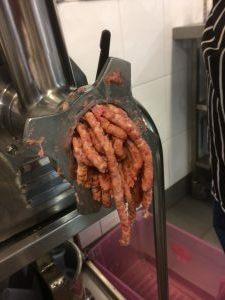 As meat emerges keep casing progress back with finger pressure to fill but do not overfill — the sausages have to be separated and twisted. 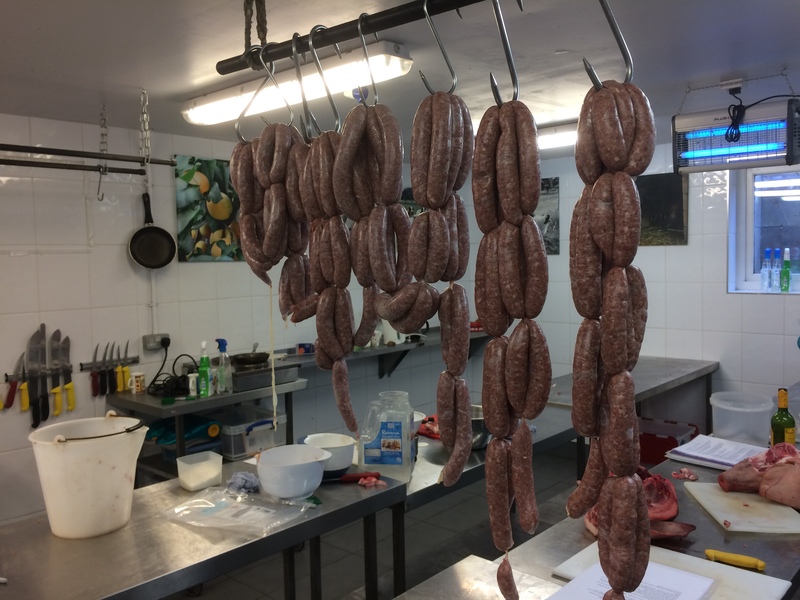 Make sausage strings and hang to dry for several hours. 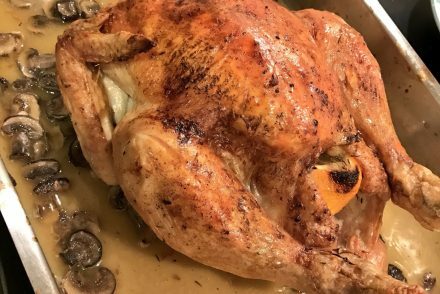 Separate into portions, vacuum pack, label and freeze.